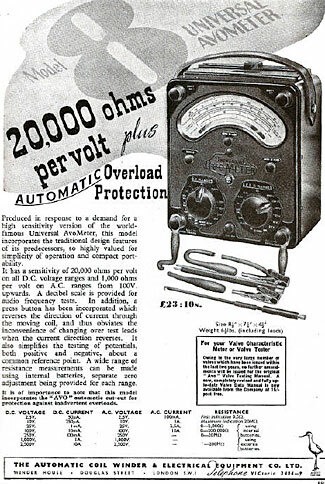 This Avometer advertisement appeared in 1953, and offers the meter for £23.50, twice the average weekly wage at the time. Similar meters today can cost only $23, closer to the average hourly rate. As we imagine and plan for a difficult life in the future, we realize that we will need to learn more skills than we currently have, because when things go wrong, we can’t simply go out and buy a replacement, and might not be able to find anyone conveniently nearby to fix the problem, either. Hopefully you’ll continue to have at least some electricity at your retreat, and will be able to enjoy the extraordinary benefits that electricity has given to us all. If you want to get a taste for just how extraordinary, beneficial, and essential those benefits are, treat yourself to a weekend with no electricity. Turn off the main breaker in your fuse box on Friday night, and don’t cheat by using any batteries. Go totally electricity-less for a weekend, and do it not when the weather is comfortable outside, but when it is either impossibly hot or impossibly cold. Okay, now that you’re back reading the article again, and fully convinced about the essential role electricity has in your life (how long did you last before turning the breaker back on?) there’s every chance that at some future point, you’re going to have to become an amateur electrician, and maybe even an amateur electronics repair tech too. You’ll not be able to repair anything if you can’t first troubleshoot to find out the problem. Ideally, you’ll also want to be able to test the repair before making the fixed device ‘live’ once more, too. Now the good news, particularly with electrical (as opposed to electronic) devices, is that many problems can be troubleshooted using that most sophisticated of instruments, the Mark I Human Eyeball. You’ll spot breaks in cords, blown fuses, burned out plugs, and so on, just by looking. But whether it is for troubleshooting, or for checking the correctness of repairs before plugging the devices back into your main power circuits, you’ll find everything you do will be immeasurably assisted by what is termed a ‘multi-meter’ – a device that will show you various things about electrical circuits – in particular, both amps and volts for AC and DC circuits, and also ohms for resistance, and with multiple scales ranging from fractions of a volt/amp/ohm up to tens of amps, probably thousands of volts and millions of ohms. The first ever multimeters came out in 1923, and were the result of a British Post Office technician getting exasperated at having to carry so many individual test meters with him (and back then they were all big, bulky, and heavy, too). His creation was the Avometer (Avo being an acronym for Amps, Volts, Ohms), and when first released it had seven different functions (three DC voltage ranges, three DC amperage ranges, and one resistance range). When the Avometer finally and sadly ended production in 2008, it had 28 ranges, also now including AC volts and amps. In the past, Avometers often cost more than a couple of weeks wages for the technicians using them, so they were hardly a commonplace device that people would have ‘just in case’ they might need it in the future. But in time, more manufacturers started making similar devices, and with less robust but more automated manufacturing methods and standards, and so prices dropped amazingly. I remember buying one as a teenager, very many decades ago, and at the time never gave thought to how such devices once cost hundreds of times more than they did then – and today, they are even cheaper still. You can buy a reasonably multimeter from somewhere like Harbor Freight, or on Amazon or eBay, for under $20, and an excellent one for under $40. So there’s no reason why you shouldn’t have one. A typical multimeter will be able to test at least five different things – DC and AC volts, DC and AC current, and resistances. There are differences between meters, however, in terms of the minimum and maximum values it can read for all five of these scales. Needless to say, you’d like a meter that has the broadest range of scales, but in terms of what you really need, if you are using your meter mainly for testing electrical devices, you probably need to be able to read DC volts from a minimum of maybe one or two volts (ie perhaps a 10V scale) up to a maximum of less than 1000V; DC amps from perhaps a 1A or 0.1A (100 milliamp) scale up to maybe 10A; AC volts from perhaps a 10V up to a 1000V scale; AC amps from perhaps a 1A scale and up as high as possible; and resistances from as sensitive a scale as possible (maybe a max of 10 kOhm on the scale, and showing individual ohms at the low-end of the logarithmic scale) up to showing maybe a 10 MOhm maximum scale). If you will be using your meter for electronic troubleshooting as well as electrical troubleshooting, you might want to have some additional scales to show lower values for DC volts and DC amps, and probably a lower AC amp scale too. You might also want to be able to read higher current flows too – this will likely require a specialized device (see below). If you need other ranges beyond these, you’ll probably know about your special needs already. A nice feature is a continuity buzzer. This is useful when you’re doing mundane tasks like checking to see which ends of which wires relate to the other end of the same wires, or checking for breaks in circuits. Instead of having to watch your meter, you simply touch your probes to things and if there’s a clear connection between the two things you are touching, the meter will buzz or beep. It helps to understand, for the AC measurements in any meter, what range of frequencies the AC measurements are accurate for, and what types of waveforms it will accurately read. If you’re just reading mains power type frequencies, then most meters will work well for that, but if you have unusual wave shapes or are wanting to measure audio or radio frequencies as well as mains frequency, then you will need a specialized meter that measures true RMS and higher frequencies. Some meters have additional functions, including the ability to measure frequency, capacitance, inductance, temperature, diodes and some functions of transistors. You’ll of course pay extra for such extra features, but if they have value to you, then why not get the ability, particularly because these extra functions don’t necessarily add much more to the price of the meter. 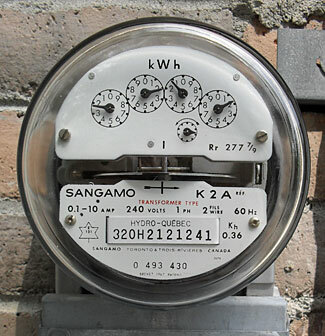 See further discussion in the section on analog or digital meters, particularly for some features that are unique to digital meters. A meter should have at least one fuse in it to protect its circuitry from overload. This is particularly essential in analog meters, where the meter’s integrity relies on you, the user, selecting the correct scale to start with whenever you connect the meter to anything. Old hands know the rule ‘always start with the highest value range setting, and then switch down as needed’ from bitter experience. Our point here is to identify the type of fuse used and to lay in a small supply of spares. In the worst case scenario, if you blow the fuse, you can replace the fuse with regular wire or any other sort of fuse as well – the meter will continue to work, but it will no longer be protected, so your next mistake will probably fry it. We’ve only once ever blown a fuse, so you probably don’t need to have too huge a supply of spares. Different meters make different claims about their accuracy, and some digital meters display more digits than others – indeed, they’ll probably display a more detailed number than their underlying accuracy allows. By this we mean a meter that has an accuracy of +/- 3% might have a three or more digit display, so it could in theory show, say, 97.2 volts, whereas the actual voltage could be anywhere from 94.3V up to 100.1V – so what is the sense in telling you about the 0.2V when even the 7 volt part of the reading can vary widely from 4 up to 10. Don’t get too hung up on accuracy issues. Most of the time, the required value and tolerance of anything in typical electrical (and electronic) circuits is fine if it is within about +/- 5% of the optimum value, and sometimes you’ll find that +/- 10% is still perfectly acceptable. Better analog meters will have a mirror on their scale. This enables you to directly line up the angle between yourself, the needle, and the scale and avoid any parallax errors when reading values from the scale. The bigger the scale on an analog meter, the more accurate the readings you can get from it. A possible exception to our suggestion you don’t need a lot of accuracy would be reading the voltage of your input power supply. Noting that power varies according to the square of the input voltage, if your voltage varies by only 10% from specification, the power available to your device will vary about 20%. That can lead to not-obvious problems that end up burning out motors and frying electronics, so you probably want a meter that has reasonably good accuracy on whatever scale you’ll use to measure input voltages into devices. One type of accuracy is important. Whenever you connect a meter to a circuit, you actually change the nature of the circuit, and so the reading you get from the meter will be influenced by the fact that the meter has been connected to the circuit. This is not really a worry when working on mains level voltages and multi-amp currents, but it can become significant when working on very low voltage and very low current electronics. Most digital meters are very much better than most analog meters in this respect; if you are getting an analog meter, make sure it is rated at 20 kOhms/volt or higher (a measure of the impact of the meter on the circuit it is testing). Digital meters should have an impedance of at least 1 Megaohm, and 10 MΩ would be better. A great value analog meter, the Mastech YX360. The big question you need to answer is whether you should get an analog or digital meter. Analog meters have an ‘old fashioned’ dial and needle that moves across it, and digital meters of course have a digital digit display. 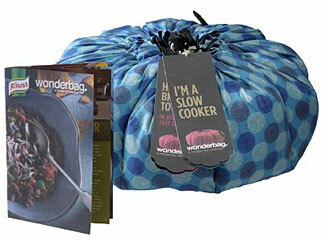 For an uncertain future, you should use as low-tech a product as possible. An analog meter would be the best way to go in such a case, because it has almost no electronics at risk of being ‘fried’ by an EMP, and it does not require any power to read volts and amps (but it will unavoidably need a battery to be able to read resistances, due to the way that resistances are tested). On the other hand, digital meters are very much nicer and more convenient and flexible, all of which is dangerously tempting! Talking about batteries, make sure your meter uses a typical/common battery and voltage. Don’t be tempted to go out and buy a lovely old antique Avometer, for example. Although we have one ourselves, it is more as a museum/display piece than an everyday part of our test gear, because it uses a unique type of 15V battery that is, for all practical purposes, no longer available. The higher the meter’s battery voltage, by the way, the better it will be able to measure high values of resistance. 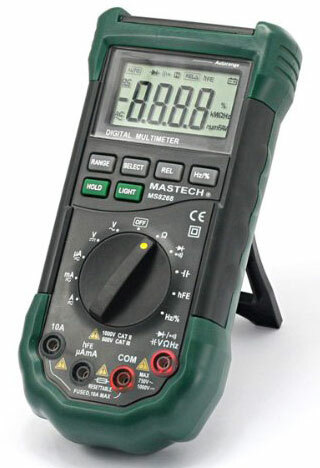 A great value fully functioned digital meter, the Mastech MS8268. Digital meters of course need power (usually from their battery) for everything they do, but their power needs are very low, and we find that the batteries in our digital meters last years at a time. Interestingly, whereas analog meters are possibly more electrically and electronically robust, digital meters are more physically robust. If you drop your analog meter, you might destroy it (the indicator needle is on a very sensitive bearing), but if you drop your digital meter, you are much less likely to harm it. Digital meters have a lot going for them. Better ones have auto-ranging, so you don’t have to worry about frying the meter by setting it too sensitively for whatever you are measuring. They are generally a bit more accurate than analog meters too, but see our comments about accuracy above. On the other hand, some people like to be able to see the swing of a needle which can sometimes help you better understand exactly what you’re seeing when troubleshooting, and of course this is only possible with an analog meter. Digital meters usually have auto-polarity, so there’s no need to hassle over connecting the positive lead to the positive side of a circuit, and the negative lead to the negative side. Better analog meters will have a polarity switch so you can simply slide the switch rather than reverse the leads if you get it wrong. Some digital meters will have added functions such as ‘hold’ which locks in the display the value when you pressed the hold key. That way if you forget it, you don’t need to remeasure because it is still on the display. Sometimes you might also see the ability to capture minimum and maximum values, too. This can be helpful, particularly if you are not staring nonstop at the meter, and have a problem you think might be due to occasional spikes or drops in power. An auto-off feature is really nice – it saves you if you forget to turn the meter off; you don’t have to worry about running your battery dead. If you are getting a digital meter, make sure it has a light switch on it so you can turn on a backlight and read the LCD display if you are somewhere with low ambient light. So, yes, there are lots of benefits to getting a digital meter. Our suggestion, noting how inexpensive both digital and analog meters are these days, would be to get one of each. That also allows for the adage that a well prepared prepper has at least two of everything essential and important. 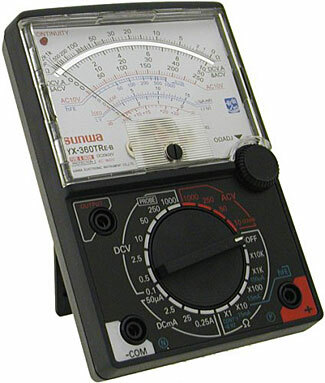 Here’s a listing of analog multimeters from Amazon . We’d probably choose the Mastech YX360 as a great value analog meter. It seems to also be sold under different names by other companies, too, but generally at a slightly higher price. Here’s a listing of digital multimeters , also from Amazon (of course). You’ll see some units for under $10, but we’d probably splurge and spend not quite $30 to get this truly impressive Mastech MS8268 meter. Indeed, although we have a shelf full of meters already, we liked this meter so much that we went out and bought one while writing this article! The Mastech $45 AC and DC clamp meter. A problem that is common to most analog multimeters is that they have difficult reading high amp values, because they are built around a meter that is very sensitive, rather than one which is very insensitive, to current flows. There are of course solutions to these issues. You can get dedicated high-current reading ammeters and connect those in series in such circuits. Or, in the case of AC current in particular, you can get a ‘clampmeter’ which is a device that you simply place around one of the wires. The clampmeter senses the magnetic field created by the flowing AC current in the wire, and so displays the measured current in the wire without you needing to penetrate/cut the wire at all. Due to the way they work, they are not so good at measuring small amounts of current (ie under one amp) but they are excellent for measuring large currents, potentially up to several hundred amps. 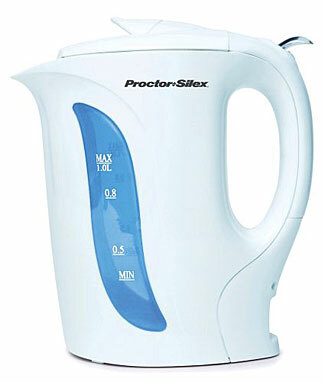 They are also inexpensive , and of the ones listed on Amazon at present, we think this one is probably the best buy (ie just under $30, and with scales all the way up to 600A) for most people and purposes at present. There are other meters costing very much more, but offering not much extra in the way of useful features for most of us. There is one feature which some of the more expensive clamp meters offer. That is the ability to read DC current as well as AC current through the clamp. If you might find this worth paying only a little extra for, something like this Mastech meter is probably a good choice, and still costing less than $45. 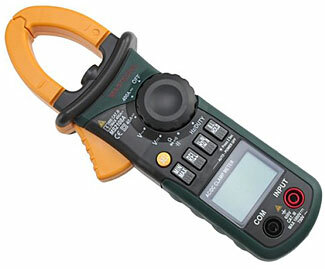 There is another approach to this – there are wonderful line splitter devices such as this one on Amazon that not only split the line for you, but also have an extra section of line where the current signal is amplified ten-fold, enabling your clamp meter to pick up and display lower currents (for example, a 0.1 amp current would then read as 1.0 amps on the clamp meter). At a cost of less than $15, this is a very useful thing when testing AC power around your retreat. We suggest all preppers should have at least one multimeter as part of their tech/troubleshooting supplies. If you are buying only one meter, and primarily for electrical purposes, perhaps buying a simple analog meter will not only save you money but also give you the most ‘future proof’ device. But if you want vastly more capabilities, then you’ll probably choose to treat yourself to a digital meter as well. And don’t forget a clamp meter too. This ‘power meter’ actually measures energy, while visually displaying the rate of power being provided. Confused? Please read the article and hopefully all will be explained. One of the most important parts of planning and managing your retreat is to optimize its power and energy requirements. 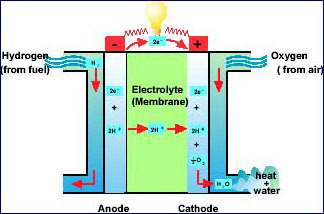 The two terms – power and energy – are often used, in normal casual conversation, as meaning the same thing (for example, sometimes you’ll see references to electric power and sometimes to electric energy, although both terms probably are referring to the same thing), and we’ll wager that if we carefully read through the half million words of content already published on this site, we’d find some cases where we too have used one term while meaning the other, so we will try to be scrupulously correct in this article. Most of the time, there is little harm and no misunderstanding caused when a person is talking, generally, about things to do with power/energy, and when they use the word power or energy in the wrong context. But, when it comes to ‘doing the sums’ and understanding exactly what your power and energy needs are, you do need to exactly understand the difference between the two concepts, and make sure you are using the correct units (and also making sure that the specifications for the equipment you’re considering are also correct, and/or being able to work through their assumptions to understand exactly what it is you are being sold). To make things more complicated, both power and energy can be measured in several different types of units. You are probably already familiar with some of the measurement systems and their names, and some other terms you know of you perhaps didn’t even realize were measuring power or energy. These would be terms such as horsepower, btu, therm, watt, kilowatthour, joule, erg, calorie, foot pounds, newton meters, and various other terms too. For the purpose of this explanation, we’ll talk about two simple units of measurement – the watt, as a measure of power, and the watt hour as a measure of energy. First, let’s understand the terms, then we’ll explain what they mean, their differences, and how to convert between them. In the US system of measurements, the watt is a common measure of power. You are probably familiar with its use to measure electrical power, and other systems can be used to measure power too – for example, in Europe, the power of a vehicle is usually measured in watts rather than in horsepower. The abbreviation for the watt is the letter W (an upper case W) – yes, this can be confusing. If you are using the word, you typically use lower case when writing it, but if using the abbreviation, you should use upper case. It can also come in smaller units – milliwatts, microwatts, and potentially even smaller numbers. You will occasionally see things such as small portable appliances have their power requirement described in milliwatts (mW). A milliwatt is one thousandth of a watt, and is abbreviated with a small letter m and a capital W. It is very important you do this, because if you write it MW, that means megawatt, which is a totally different number entirely! You are unlikely to come across measurements in microwatts or smaller, these are quantities that normally only appear in scientific calculations and not in domestic appliances. Going the other way, to larger quantities than a few watts, you will commonly find kilowatts (kW), megawatts (MW), and sometimes larger quantities such as gigawatts (GW) and even terawatts (TW). If this sounds sort of familiar, it might be because you see similar suffixes for measuring computer storage, and so you probably already know that kilo means one thousand, mega means one million, giga means a billion, and tera means a trillion. Note that kilowatts are written as kW, whereas megawatts (and other larger quantities) are written MW, etc. Watts can of course be converted to other units of power. For example, 1000 watts (ie 1 kW) equals 1.34 horsepower, so your car with 300 hp can also be described as having 224 kW of power. We’ll stick with watts for this discussion rather than muddy the waters unnecessarily with other terms. But if you do need to do conversions, you’ll find websites such as this to be helpful. So, what is a watt? It is a measure of power, and we’ll give you some examples of what we mean by power. The first example is to think of a simple electrical heater. Maybe it is an old-fashioned one with two or three ‘bars’ in it, and you can choose to have one, two or all three of the bars turned on. Perhaps with one bar turned on, the heater is rated at 500 W, with two it is a 1000 W (or 1 kW) heater, and with three, it is giving you 1.5 kW of power. Think also of light bulbs. The more watts the light bulb consumes, the brighter the light, right? If you think back to the now old-fashioned incandescent bulbs, you would probably be using 60 W or 75 W or maybe even 100 W and sometimes more powerful bulbs to light your rooms. More watts means more power means more light (with a light bulb) or more heat (with a heater). Now let’s think of an analogy, which we’ll use to explain the difference between power and energy. Think of a garden hose. 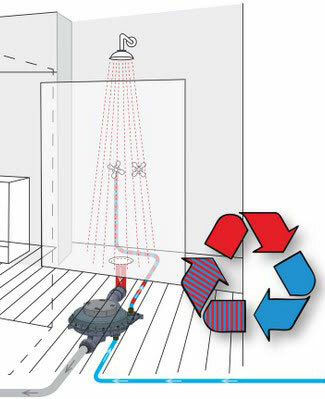 Turn it on a bit, and water will trickle out of the hose, and you can’t squirt it very far. You would describe that as not very powerful, right? Turn it on full, and more water will come out, and you can squirt it further. The flow of water is now more powerful. You can think of electricity and power in general in similar terms to water flow, and whereas we measure water flow in things like gallons per minute, we measure electricity flow and power in general in watts. Okay, so hopefully now you understand what power is. Next, we will explain energy. Let’s keep thinking about the flow of water through the hose. The faster it goes, the more power it gives us, right? And, also, the faster it goes, the more gallons of water it uses. This is sort of totally obvious. We can short of think of the total gallons of water used as a measure of the total energy consumed, and the flow as being the rate at which the energy is consumed. If we had, for example, 100 gallons of water, that could flow through a hose in 10 minutes at a rate of 10 gallons per minute, or it could take 50 minutes at a rate of 2 gallons per minute. And, there in a nutshell, is the relationship between power and energy. Energy is like the total store of water, and power is the rate at which the energy is being consumed. Let’s go back to thinking about our light bulbs and heater, and see how much energy they consume. We know that the power used by, eg, a light bulb is maybe 100 W which means that is the rate at which electricity is going through the bulb. If the bulb is on for an hour, then it will have used 100 watt hours of energy. If it is on for 30 minutes (ie half an hour) it will have used 50 watt hours of energy (or, if you prefer, 3000 watt minutes or 3 kilowatt minutes). And so on for any other scenario – you are simply multiplying the rate of power usage (as measured in watts) by the time the power is being used. We normally measure energy in watt hours, or kilowatt hours, and so on. Sure, you could also measure in watt minutes, in watt seconds, or in watt days, but normally you’ll see this expressed in terms of hours. The abbreviation for a watt hour is Wh or W h (with a space), and of course the abbreviation for other quantities would be, for example, kWh for kilowatt hour and so on. We generally prefer to omit the space, just to more obviously tie in the h to the W.
If you are starting to get the hang of this, you will realize that a gallon of petrol contains energy (and could be measured in Wh), and the speed at which it is consumed is described as the power of the thing consuming the petrol (and could be measured in watts). A more powerful thing (eg a car driving faster) will use the energy (the gallon of gas) more quickly than a less powerful thing (a car driving more slowly, perhaps). Other types of energy measures also exist, of course. For example, if you consume natural gas, you might see that your gas consumption is measured in Therms or BTUs rather than in watt hours (1 Therm = 29.31 kWh; 1 Btu = 0.293 Wh, and therefore, 1 Therm = 100,000 Btus). Power is the rate at which we consume energy. For example, it might take a certain amount of energy to heat your house from 50° to 60° – let’s say it will require 20 kWh of energy to do this. That means (ignoring heat losses, etc) you could turn on a 1 kW heater and wait 20 hours for it to heat up your house, or you could turn on five 1 kW heaters and wait four hours, or you could turn on your furnace that, for this example, we’ll say uses 10 kW of power, and wait only two hours. 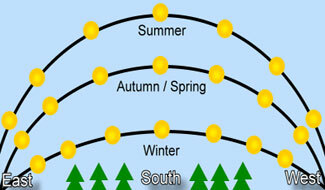 In all cases, you use the same amount of energy and get the same outcome, but you use it at different rates/speeds. Now for the next thing, which hopefully logically flows from the house heating example above. 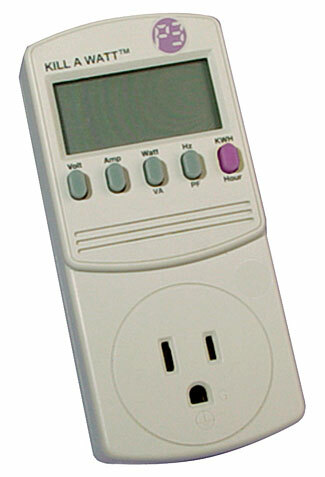 In most cases with most utilities, we are charged for the energy we use, not for the rate at which we use the energy (there are exceptions to this, particularly for commercial users that sometimes have high power draws, where they get charged for both the energy they use and also the amount of power available to them to draw from). In the previous example, we will pay for the 20kWh to heat our house, no matter if we use it quickly or slowly. In case you wondered, you can see on your utility bill the rate you pay for your electricity, and the chances are you’re probably paying 10c – 15c per kWh, so you’d be paying maybe $2 – $3 for the 20kWh. When you are planning your retreat, you want to of course minimize its total energy requirement. But you also want to consider its maximum and typical power requirements, too. The typical US house (if there is such a thing!) consumes an average of 30 kWh of energy a day. Hopefully, a well designed retreat can get by with much less than that. Here’s an interesting table showing how energy is typically consumed in an average home. The good news part of this table is that your greatest energy requirements – for home heating, cooling, and water heating (which between them comprise 60% of your total energy needs) can be greatly reduced by good insulation and home design, and may also be provided, at least in part, through alternate energy sources such as fires for heating and solar for water heating. You don’t need electrical energy for all your retreat’s energy requirements. It is important to understand your home/retreat’s total energy needs (and where/how you will source the energy for these requirements). But you also need to think about the power requirement. 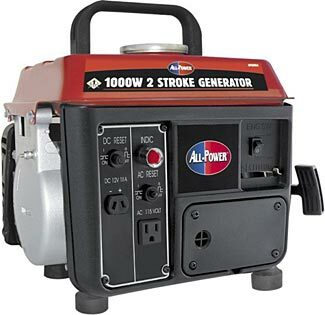 In the most simple sense, think of buying a generator to power your home. If you consume 30 kWh of energy per day, that sort of seems like you are using 30/24 = 1.25kW of power, and so if you get a 1250 watt generator, you should be in good shape. Right? Wrong. Sure, your house might use in total 30 kWh of energy for a typical 24 hour period, but it does not use this in a steady even flow. At some times, for example 4am, maybe it is using no power at all. But at 4pm, maybe it is using energy at a rate that sometimes peaks upwards of 15 kW, because you have some lights on, the stove top on, the vacuum cleaner running, the fridge compressor cycled on, and so on. 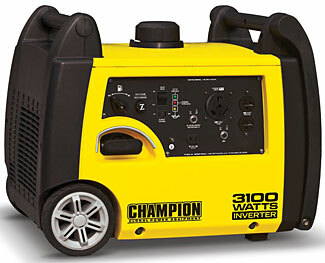 Your 1250 watt portable generator isn’t going to be any use to you at all, because any time you turn your stove on, you are needing way more than 1250 watts of power. You need to understand both the total energy requirements for your retreat, and also the peak power requirements at which the energy will be needed. Actually, the calculation needs to be fine-tuned even more. 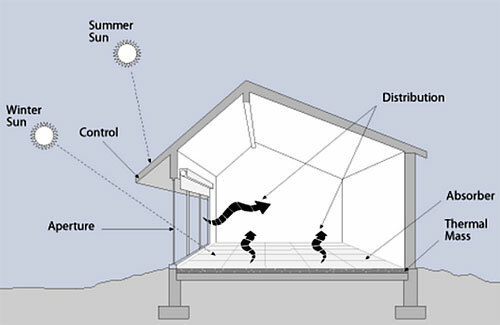 Your retreat will most likely use more energy in the winter months than in the summer months (more heating, more lighting), and so you need to consider not only the typical average daily energy needs, but also the ‘worst case’ peak daily energy needs, and then translate those into the associated power rates needed. Most home appliances have a power rating in watts or kilowatts. Some may also make some sort of vague claim about how much energy they consume a year – perhaps in the form of an Energy Star rating that compares it to other similar products. The energy an appliance consumes each year depends on its ‘duty cycle’ – how much time each year it is actually turned on and working. Think, for example, of a fridge or freezer. Although it is plugged in and switched on 24/7, it actually is only working for perhaps one-third, maybe less, of the time. Its compressor will turn on, cool the unit down to a certain temperature, then will switch off and wait until the temperature slowly drifts up from the ‘cold enough to stop cooling’ setting to the ‘hot enough to start cooling again’ setting, at which point in will then repeat the cycle. It is the same for your furnace or your water heater or your oven or stove top element – these things cycle on and off, all the time, probably with you not even noticing. So it is difficult to translate from a power rating to a total energy consumption, unless you know how many hours a day/week/month/year the device will be operating. Energy Star ratings can give you some guesstimates, but these numbers, which are typically self-assessed by the manufacturers, are sometimes massively understated, so consider them as indicative best case scenarios rather than as the gospel truth. The power ratings are useful when working out what your peak power requirements will be. Simply add together the wattages of everything that you think might be on at the same time. There’s one more issue to consider, when considering your peak power requirement. Many appliances draw more power when they first switch on than they then consume while running. This can be thought of as the extra power to spin their motor up to speed, as compared to the lesser power required to keep it turning once it is at normal speed. For a couple of seconds, some appliances will draw two or even three times their rated power. So, potentially, you need to not only plan for a ‘worst case’ scenario with all appliances running simultaneously (or, alternatively, plan your system so this is not possible) but you also need to plan for a scenario where all the appliances start at the same time, too. We discuss ways to minimize these issues in other parts of this series. Watts measure the rate at which something consumes (or creates) power. There are other ways of measuring power, too, with different names and units, and there are simple conversion tables to convert any unit of power to any other unit of power. Anything that provides or consumes power can have its power input/output measured in watts – even open fires. Watt hours measure the total amount of energy something has consumed (or created) over a certain period of time. There are, again, other measurements of energy in addition to watt hours, and they can of course be converted between the different measuring systems if needed. It is convenient for us to consider everything in the same units, and we suggest we stick to watts and watt hours. The most important thing for us as preppers is to understand the total amount of energy we need per day or week or month, and then to understand the rate at which we need the energy provided (the amount of maximum power we need). Finally, in case it remains still unclear to you, an explanation of the ‘power’ meter we showed at the top of this article. The rotating disk shows the rate of power flow – the faster it turns, the more power is flowing into your house. The dials are counting up the total energy supplied, and it is the dial reading each month or two which establishes the total energy you have consumed.